David Adiv was born and raised in Israel and his love for the Martial Arts developed early. He studied the art of Judo and went to excel as a student and as a competitor. David moved to the United States in the early 80’s and had the fortunate opportunity to meet and train with Rickson Gracie and Royler Gracie. David, then became an avid student, studying directly under Royler and absorbing as much Jiu-Jitsu as he could. Realizing the value and strength in Gracie Jiu-Jitsu, he moved to Brazil to further his understanding and knowledge of the art. He would split his time spending six months in the USA and six months in Brazil studying and teaching Gracie Jiu-Jitsu. David received the honor of being part of Royler Gracie’s training team and has accompanied Royler and Rickson to Japan for Royler’s first Vale Tudo match and for many other fights as an integral part of Royler’s training team. 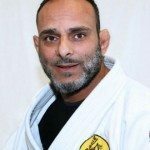 His knowledge and technique have allowed him to also become part of Royler Gracie’s creative team and he is featured along with Master Royler Gracie in two of his bestselling books: “BJJ Submission Grappling” and ‘Gracie Jiu-Jitsu Submission Essentials” (with Grand Master Helio Gracie). On his own David is an accomplished BJJ competitor. He has competed in many tournaments distinguishing himself with his technical and methodic style. At the “First Annual Rickson Gracie International Tournament” David not only brought home the Gold Medal but also won the award for most technical fighter. David has also competed and done well in the Pan-Ams and World Championships. All Professor Adiv’s experiences have helped him to develop into and to be recognized by many as one of the most technical Black Belts in the world. He is able to teach all aspects of Gracie Jiu-Jitsu: Self-defense, Sport Jiu-Jitsu, Submission Grappling and Vale Tudo (NHB). David is also highly sought after Instructor for Law Enforcement and the Military, teaching Gracie Jiu Jitsu Defensive Tactics seminars for Law Enforcement Departments at Federal, State and local levels. 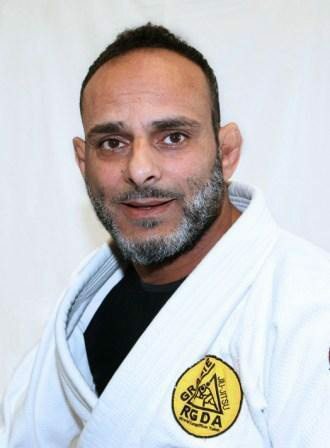 David has also spearheaded the development of the Royler Gracie-David Adiv Jiu-Jitsu Association in the US. Through seminars, affiliated instructors and the annual Royler Gracie Championships, the organization has seen a tremendous growth in the past years. As a black belt in Brazilian Jiu-Jitsu and as Royler’s top representative in the United States, David carries on the tradition of the Gracie family. Born and raised in Sao Paulo, Brazil, Angelica started training Judo at the age of 10, fully dedicating herself to the sport in her teens and early adult years. Upon graduating from college, Angelica moved to America and started studying Gracie Jiu Jitsu at Gracie New Jersey, receiving the black belt from Professor David Adiv and Master Royler Gracie in 2010. 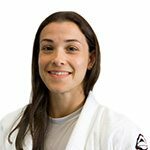 As a competitor she has several accomplishments, including: 2007 IBJJF World Champion, 2007 NAGA World Champion, 2008 Grapplers Quest US Champion, 2008 and 2010 IBJJF World Championships Bronze Medalist. Angelica holds a Bachelor’s degree in Physical Education and Sports Management, a technical degree in Nutrition and Dietetics, a specialization in Early Childhood Education and is also a Certified Yoga Instructor and NRA Instructor for the following disciplines: Refuse to be a Victim Program®, Basic Pistol, Riffle, Shotgun, Home Firearm Safety and Personal Protection in the Home courses. Today she is committed to sharing with others the benefits of the Gracie Jiu-Jitsu, giving special attention to teaching self-defense to women and children.